Hasten, ye, to the times of lore, when the ladies were fair, and the gentlemen were noble and Kind. Relive those weekends, dressing up as a nave, or perhaps a King with the Venetian Man wig. The upkeep is easy, just wash it with a weak shampoo, and afterwards, brush it back into shape and let it dry. It is available in several colors from the basic black to the learned white. Pair it with a muffin hat, and you'll look the part at any Renaissance faire. Or, build a character costume around it. 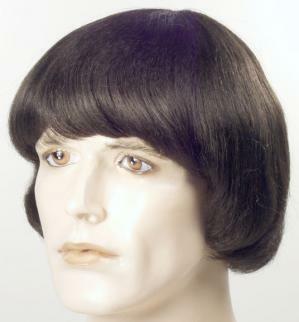 Whatever your fancy, fancy a Venetian Man wig.